Nearly half of students across college campuses report having a diagnosable psychiatric disorder every year, while one-third have seriously considered suicide. In recognition of World Mental Health Day, GirlTrek, the largest public health movement and nonprofit for Black women and girls in the country, is hosting Mental Health First Aid trainings on college campuses across the country on Saturday, October 14, 2017 as a solution that can help higher-ed students learn the signs and symptoms of mental health and addictions crises. World Mental Health Day is observed to raise awareness of mental health issues around the world and mobilize efforts in support of mental health. Globally, more than 300 million people suffer from depression. More than 260 million are living with anxiety disorders. Many are living with both. Approximately 12 million women are diagnosed with clinical depression each year. It is often during school years that the first signs and symptoms of these mental health problems emerge and take shape. Statistics show that 75 percent of mental illnesses develop before age 25, making colleges and universities ideal locations for early identification and intervention. “Given the high percentage of college students living with untreated mental health problems, including serious mental illness like severe depression and suicidal thinking, we’re thrilled to have GirlTrek supporting our mission to provide Mental Health First Aid training to more people in this key population,” said Betsy Schwartz, Vice President of Public Education and Special Initiatives at the National Council for Behavioral Health. Untreated mental health issues can have a grave impact on college students and the campuses to which they flock. A handful of mental illnesses are associated with lower GPAs and higher dropout rates. What’s more is that suicide claims the lives of approximately 1,100 students each year. “GirlTrek believes it’s important to educate people about habits and behaviors that increase the risk of developing or exacerbating mental illnesses, or could be signs of mental health problems themselves. We believe newly trained Mental Health First Aiders will provide services that will increase the vitality and health of those in some of the most vulnerable communities across the country,” said Vanessa Garrison, GirlTrek cofounder. Mental Health First Aid has the power to revolutionize college campuses across the country. All students who receive this training will learn how to help themselves as well as a friend or peer who may be developing a mental health problem or experiencing a crisis. The training teaches how to identify, understand and respond to signs of substance use and mental health challenges and provides information on how to connect people with the appropriate resources and services. Take a Mental Health First Aid course today. To register your campus to host a GirlTrek Mental Health First Aid training or to host a mental health walk, contact Onika Jervis at onika@girltrek.org for more information. 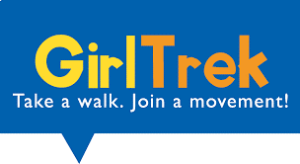 For more general information, please visit www.girltrek.org.